Debuting at Macworld | iWorld 2012, the Music Experience will celebrate all the ways that Apple technology is pushing the state of the art in music performance and production. The Music Experience includes the first annual RISE Electronic Music DJ Battle & Bash. RISE will feature three electronic music DJ finalists, utilizing the Mac platform, competing in a club environment in front of a live audience. The three DJ finalists (selected from hundreds of on-line submissions) will each have a 20 minute set of which to perform their craft. An audience (live ballot) and panel of judges – Dani Deahl, DJ Solomon, and DJ Ean Golden will determine a winner at the end of the battle. Aspiring DJ’s can submit a demo up by December 19 via the macworldiworld.com website. Grand prize is $1000 and plenty of Press exposure/coverage. Get down or throw down at Macworld | iWorld’s first annual RISE electronic music DJ Battle & Bash. Come check out the digital dance music evolution and how it is morphing into the digital dance music revolution. Mac means Music and Music Matters. Come see and hear how the latest music technologists spin and mix their craft whether on the road or in the studio - all while utilizing the latest Mac hardware and software technology. Think, Create, Share, Experience at RISE. Who will RISE above! Anyone can be a DJ. Or that’s how it might seem these days, given the proliferation of fist pumping knob-turners. But people who know music… who feel music… can easily distinguish between a laptop amateur and an electronic auteur. There’s a magic that happens in the space between, and that’s why people who know and feel and love music, love Solomon. Solomon isn’t your everyday magician. He doesn’t know how to pull a white rabbit out of a hat, or your six of Clubs from the deck. But what the Bay Area-based DJ can do is ELEVATE you on the dance floor. This was clear from the time of his first gig in ’89, when he used nothing more than a tape deck and cd player to transform a middle school prom into a raging pre-adolescent night club that terrified the chaperones. Ever since, he’s spread his innovative sound in clubs from here to China. Solomon’s specialty is something he always called “Pop Turntablism.” It’s a niche of music that fuses scratching, beat juggling, word play, and live remixing with an eclectic mix of funk, soul, hip hop, house and rock tracks. It’s a genre now popularly known as the mashup, and within this community, Solomon shines. He’s known to mix musical styles not only within their relative tempos, but also within their relative keys, allowing songs and genres to flow seamlessly from one to the next. And his stage presence is equally impressive. After so many years of performing live, he rocks the turntables with enough energy to spark a solar flare, blurring the lines between a DJ set and an epic rock show. 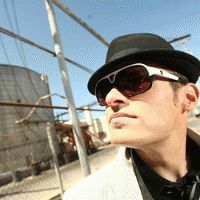 His musical stylings and live performances have captured the imagination of some of today’s brightest music stars, and he’s performed with Stevie Wonder, The Black Eyed Peas, De La Soul, Jam Master Jay, Jurassic 5, Ozomotli, Groove Collective, Lyrics Born, Patti Labelle, Kool & the Gang and Z-Trip. And before his tragic passing, DJ AM invited Solomon to join his Deckstar Management company along with the likes of Jazzy Jeff, Steve Aoki and Grand Master Flash. After a year and a half Solomon parted ways with Deckstar, but keeps his calendar jam-packed solid with key club residencies all over the States, as well as the occasional overseas tour. Corporate party planners have also taken note, booking him to play for some of the world’s biggest influencers. Think Apple, Facebook, Google, Genentech, GQ and Nike – just to name a few. While his corporate resume is striking, what really excites him is winding up tens of thousands of stark raving mad sports fans at basketball arenas and baseball stadiums. Solomon, you see, has been the resident DJ for the Golden State Warriors for over a decade. And for the past few seasons, one of only three in-stadium DJs for the World Champion San Francisco Giants. He is, in a word, versatile. For whether he’s hyping up Oracle Arena for the NBA Playoffs, rocking a former palace in Biarritz, France, or playing for a packed mega-club in Vegas, there’s no crowd this DJ can’t move. Few in electronic music do as much as Chicago’s Dani Deahl. Counting credits as a DJ, producer, journalist and blogger, Dani’s reach within electro is all encompassing. She’s produced a Billboard charted track, interviewed heavyweights like David Guetta and Tiga for national publications, headlined Lollapalooza 2011 and currently runs a successful blog, garnering between 60,000-80,000 visitors a month. And that’s just a sampling. Born and raised in the city that invented house music, Dani was drawn to the genre at an early age, becoming a DJ and landing her first residencies while still in high school. Since then, she’s expanded into production and quickly made her mark. She’s worked with vocal artists from Sue Cho to Oh Snap! and Whiskey Pete, who lent vocals to the Billboard featured “Poppin Bottles”, her songs have been praised by artists like Diplo, Hot Pink Delorean and Donald Glaude and signed to prestigious labels Red Stick (a Strictly Rhythm label), Royal One, Dirty Fabric and more. Dani hasn’t just made her mark with music, but is an established writer as well. Beginning as a contributor for URB Magazine, she was later hired as the House Section Editor and branched out to write for other publications. Since then, she’s also written for Chinashop (Red Bull’s magazine), TimeOut, Mateo, BPM and more, interviewing the top artists in the world, reviewing albums and singles and writing feature articles. Dani also began her own blog, dsquared, in 2009. Featuring artist-approved, high quality downloads for free, she applied her journalism background to the site, offering detailed reviews for the audio posted. The format and music selection quickly garnered a worldwide fan base and the site now boasts between 60,000-80,000 monthly visitors from the States to Australia, Russia and England. Dani’s high profile has made her a commodity in recent years and she’s not only headlined cities for capacity crowds throughout the Americas and Asia, but was a top billed act at this year’s Lollapalooza, which also debuted an unusual component for a live DJ set – her team of choreographed dancers. Add that to her signature pink and black locks, a reputation for impeccable, technical sets and a penchant for hard-hitting, dirty electro, and its no wonder Dani’s fan base is loyal and wide-reaching. Ean is a DJ of 15 years and creator of DjTechTools.com who lives and works out of San Francisco, California. He travels around the world playing shows, creating ground breaking dj technology, and writing about the dj industry. 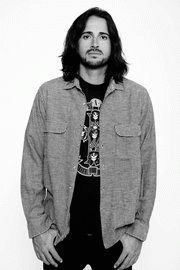 Ean is widely considered one of the pioneers of digital djing and a founder of the up and coming controllerism movement.